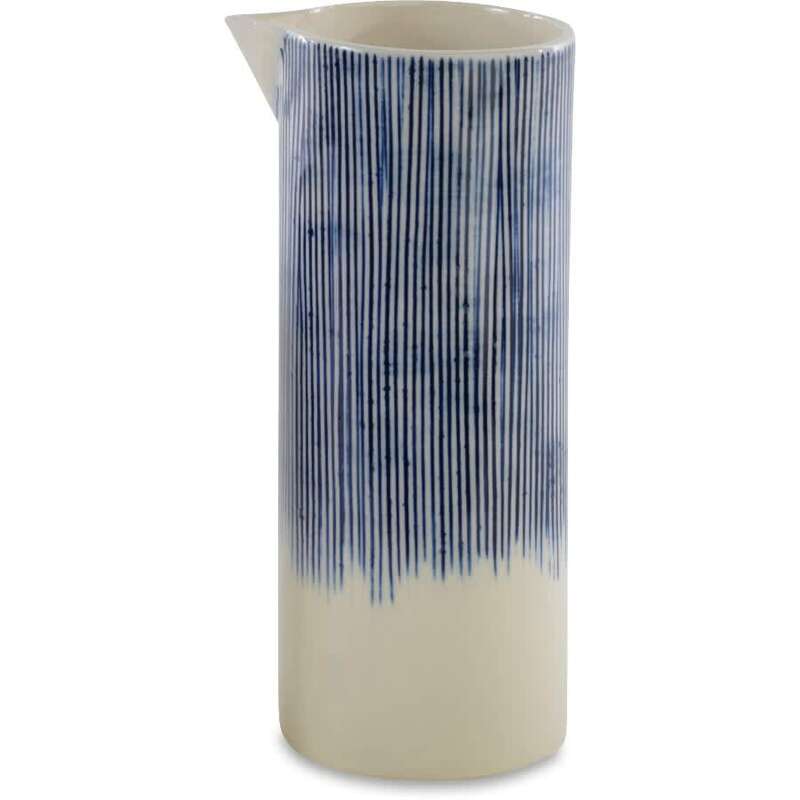 These striking Karuma ceramic jugs have an elegant shape and distinctive design. They make a stylish addition to the table as a serving jug or use them as a vase and fill them with the flowers. The pattern is etched by hand using traditional wooden tools and then painted in a stunning blue.